Nexera twin size platform bed 343903 can be paired with different Nexera twin size headboards to create a complete bed set. Its unique design gives the impression the bed floats above the ground, giving the entire room an airy feel. Give your child a sleeping space they'll love with the BMG-370-B Twin/Single Loft Bed Collection from CorLiving. A stylish addition to any room, this loft bed has a Rich Espresso finish and shaker inspired detailing. It features a raised bed, three large storage drawers, bookshelf and a space-saving desk on wheels that can be pulled out when its needed. There is no need for a box spring as the platform of 12 sturdy slats offer plenty of mattress support. This bed from CorLiving combines space-saving practicality and transitional style! You probably agree that kids also have a right to a modern-looking room! This full platform bed's asymmetric lines and trendy finish gives you free rein when choosing accent colours. Go with a funky, uncluttered, or eclectic decor! 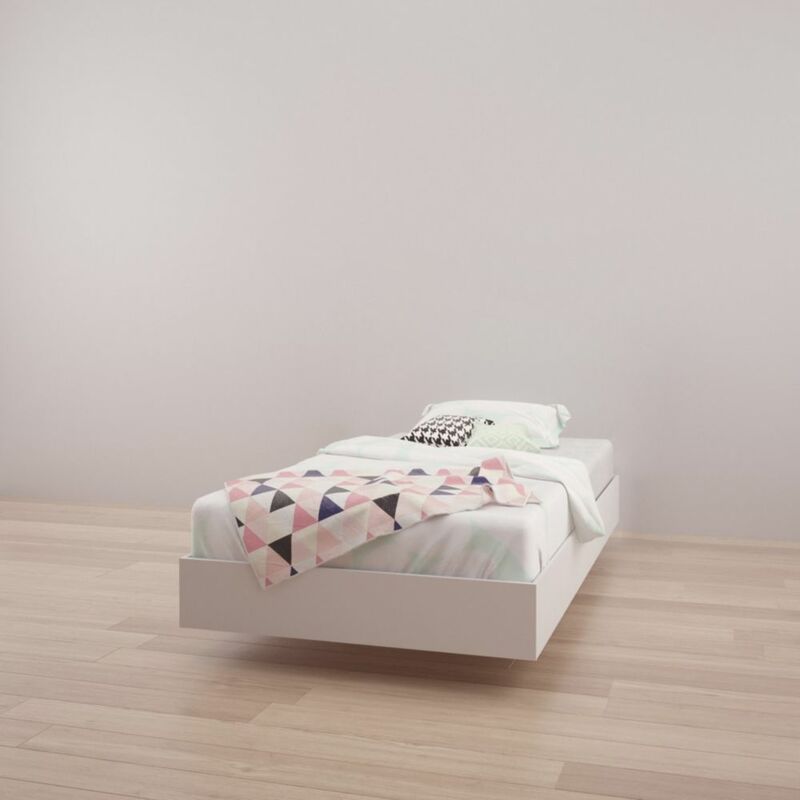 343903 Twin Size Platform Bed, White Nexera twin size platform bed 343903 can be paired with different Nexera twin size headboards to create a complete bed set. Its unique design gives the impression the bed floats above the ground, giving the entire room an airy feel.